The Hangzhou government has always seen the upgrading of wet markets as an important part for improving people's livelihood. Foreigners buy vegetables at the Gudang Wet Market. Wet markets have played an essential part in the lives of Chinese people for generations. Stocked with local fresh produce, dried foods and condiments from all over the country, the markets are also a great place to enjoy a bit of bartering and an ideal place for some social interaction. Wet markets got their name because the floor is often wet from the live slaughter of fish and fowl and the vendors’ constant habit of pouring water on the ground to keep the area clean. They are not usually run by local vendors but by wholesalers and growers from nearby cities and provinces. The Hangzhou government has always seen the upgrading of wet markets as an important part of improving people’s livelihood. And the Hangzhou Commission of Commerce has conducted several market investigations to garner public opinion on the development of wet markets. In the past the markets suffered badly from hygienic problems and an unstable level of service. And in 1999, all roadside markets were cancelled and moved indoors. From 2006 to 2009 the first round of transformation was completed and, between 2013 and 2014, 136 wet markets, 92.5 percent of the total number, went through a second upgrade. 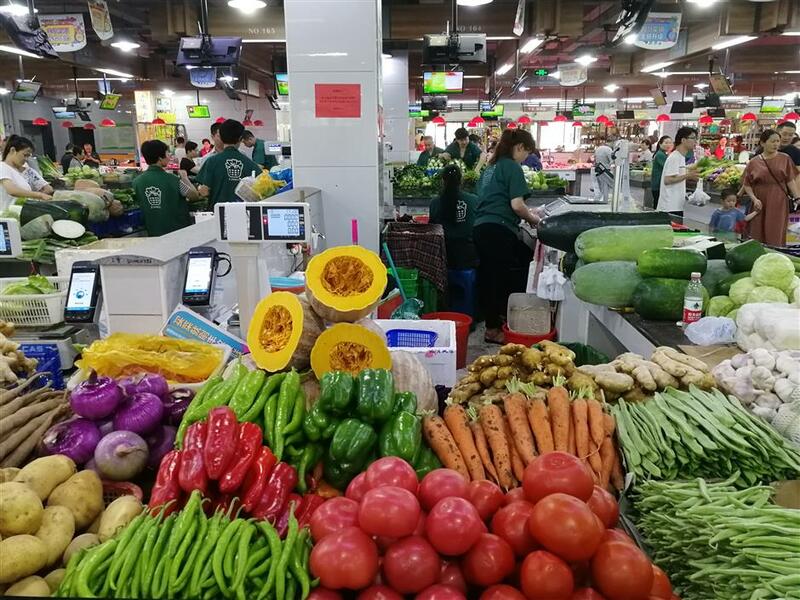 Of these 136 markets, Xihu District topped the chart with 33 renovated markets, Gongshu District was next with 24, while Xiacheng District was third with 23. The total investment peaked at 226.92 million yuan (US$35.47 million), which included a 72 million yuan investment from government financial subsidies. Daily food detection results are displayed on a screen at the Gudang Wet Market. In 2014, the live poultry trade was terminated in all markets because of the H7N9 bird flu pandemic and the stalls were changed into frozen food sections. Following the outbreak, over 400 poultry farmers and market administrators were educated on disease control. And this year the third round of upgrade was launched to equip all markets with air-conditioning within three years. Apart from a renewal of facilities, the overall shopping experience has also improved. There are more products on display, payment choices and a transparent and stricter monitor on prices and food safety. The Luojiazhuang Wet Market has benefitted from the government’s second transformation scheme. Formerly housed in a simple shed, the market was moved into a two-story building with an escalator. The market now has 251 stalls, including aquatic and preserved food, fruit and vegetables and meat and deli stores. The market area extends 4,800 square meters and attracts over 8,000 customers a day. Despite the improvements, all is not well. The concept of “smart market” and relevant software and hardware equipment have been introduced to be competitive with discount stores. Every stall now has an independent POS terminal that enables e-payment such as WeChat and Alipay, as well as credit cards and payment through independent apps developed by banks where customers may get a discount. “Since May 10 this year, we have launched a big data management system, which monitors the daily price and sale of each product in our market. We intend to use the data to boost sales for the vendors and optimize our categories,” said Chen. Some markets have gone even further and put their business online. In 2014, the Wanshouting Wet Market collaborated with Taodiandian, a takeaway ordering platform under the Alibaba Group, to develop its own e-stores, where users enjoy a quick and convenient door-to-door delivery of the fresh produce they buy online. The standardization is also an important aspect in the upgrading of traditional wet markets. 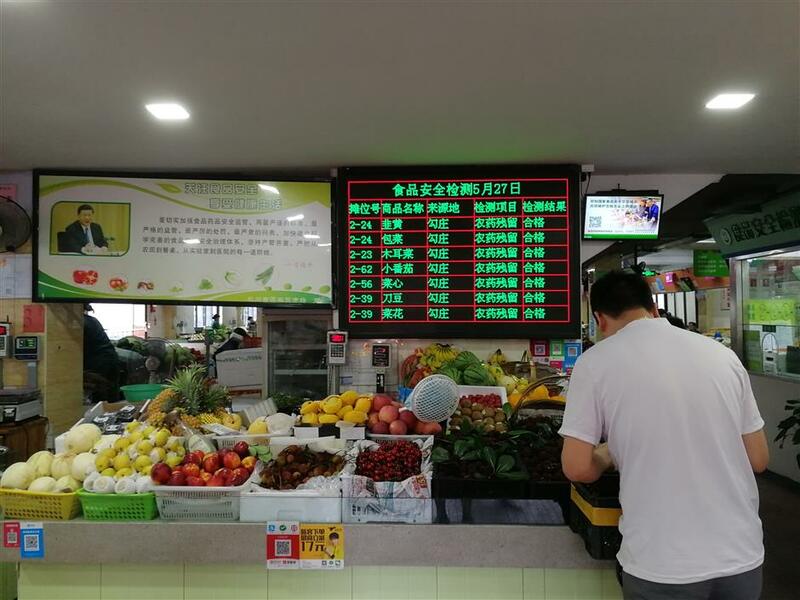 Upon entering the Gudang Wet Market, located inside a gated community in west Hangzhou, one can immediately see a big screen displaying the latest food safety inspection results. “The food safety and the fire safety are the main focus of our daily work,” Jin Chang, general manager of the Gudang Wet Market, told Shanghai Daily. 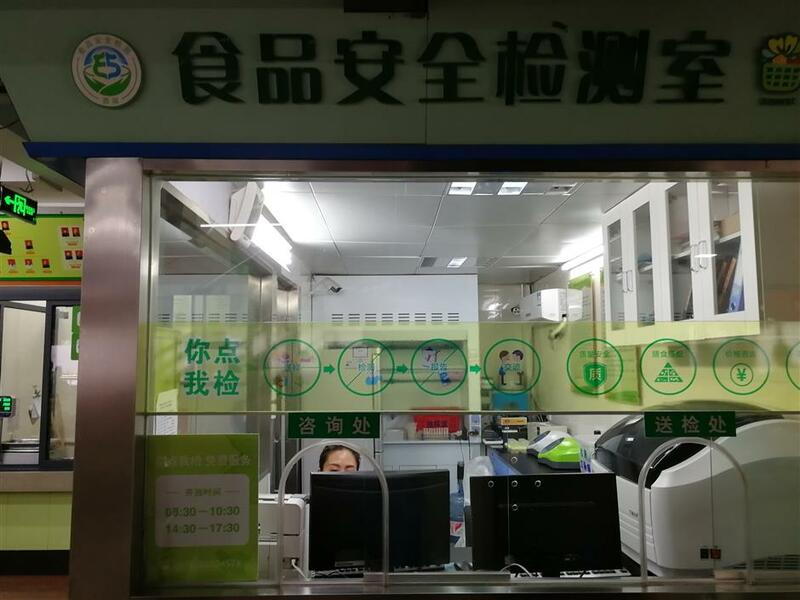 The separate inspection room in the market is equipped with four inspectors, who detect pesticide and other harmful substances in over 50 types of products sold in the market every day. Once a sample is detected with exceeding level of toxics, vendors selling the same type of food in the market must stop trading until all of them have passed safety tests. Apart from that, above each stall hangs a small screen showing advisable prices of the products and the credentials of the vendor. The food must be traceable with reliable documents and receipts submitted to the market administrators when they enter the market in the morning. 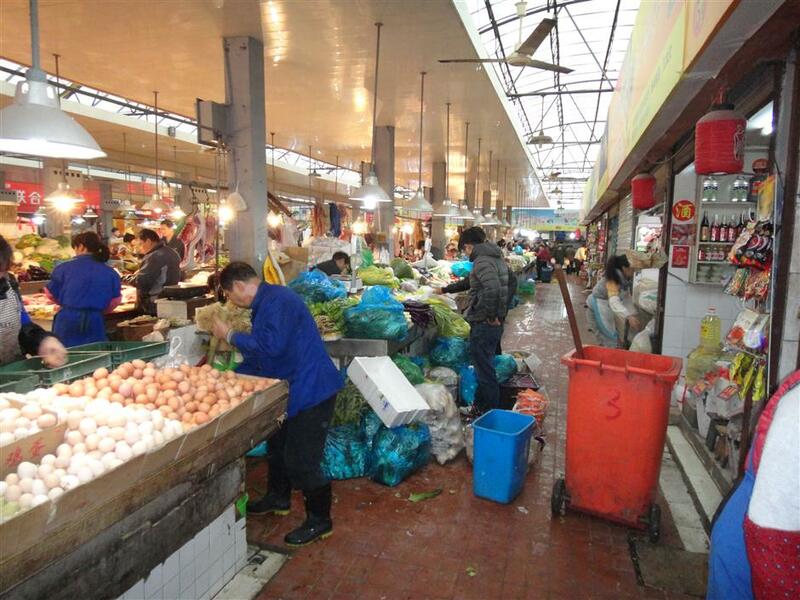 The Gudang market is also the first in Hangzhou to adopt biodegradable plastic bags. When Milagros Del Corral, the then UNESCO deputy assistant general secretary for culture, visited the market in 2005, she gave the thumbs up to the move. 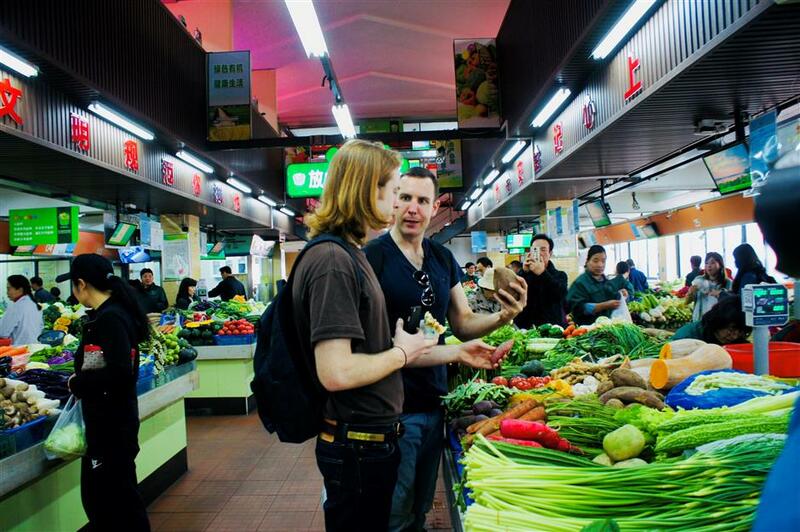 “I never expected Hangzhou’s market would be so environmentally friendly, very clean, with safe and a wide range of food. I think people living here are quite fortunate,” said Corral. 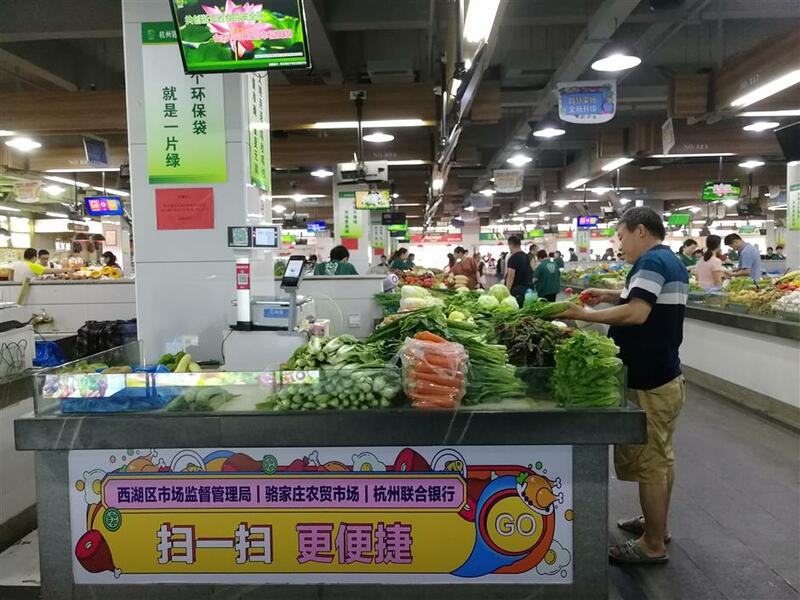 The Luojiazhuang market in 2018, with dry floor, tidy display areas and screens displaying information on food prices and vendor credentials.